Install a large circular / impact bar in the Centre Hall for arrival drinks to get the ‘WOW’ factor as soon as your guests arrive. Utilise the Drawing and/or Dining Room for food stations or photo booth / casino tables. 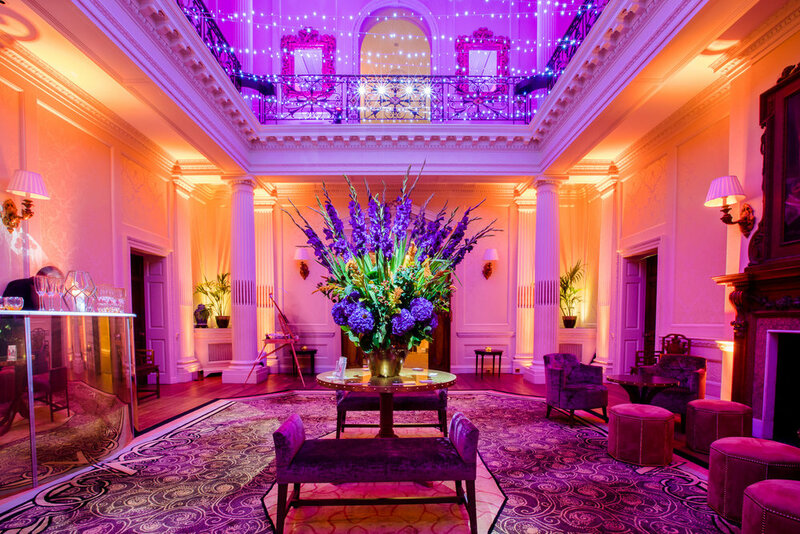 Appoint one of Hedsor’s preferred lighting / production suppliers to transform the space and let your guests know they are in for a very special night ahead. After an hour of two of mingling with fizz and canapes/bowl food, the Ballroom doors can be opened to reveal your dance floor. 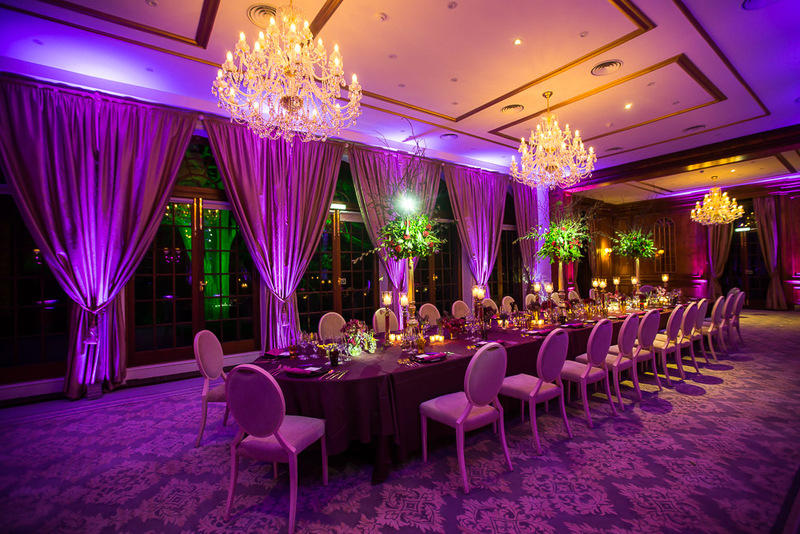 Our chandelier lined Ballroom looks fantastic with a stage at the end of the room and a band of your choice to party the night away. Why not incorporate food trucks, like these from Caper & Berry, parked outside the house as another surprise for guests on the evening? With over 100 acres of land, country pursuits are a great celebration option. Choose between activities like clay pigeon shooting, blind 4x4 driving, duck herding, inflatables and many more. A lovely lunch or dinner in our Ballroom surrounded by your nearest and dearest remains a hugely popular way to celebrate at Hedsor. With over 27 preferred caterers to choose from, you are able to create something entirely unique to you. Top Rated Exclusive Use Wedding Venue onWeddingDates! Top Rated Country House Wedding Venue on WeddingDates!